Christina and David welcome you to Pyesmead Farm Bed and Breakfast & Self Catering accommodation on the edge of the beautiful New Forest. 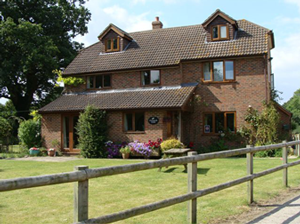 Enjoy a relaxing break on a real family working farm on the edge of the beautiful New Forest in Hampshire, renowned for its beautiful scenery and wild ponies. 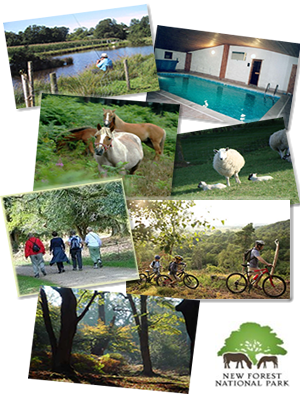 If you want to have a more easy going relaxed break, you can make use of our heated indoor swimming pool and coarse fishing lakes or enjoy exploring the farm. Each of our Bed & Breakfast rooms in the farmhouse are finished to a high standard and have en-suite facilities, TV & WiFi. 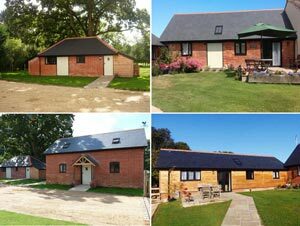 We have 4 beautifully renovated old barns available for self catering, situated in a pretty courtyard on the edge of our farm. We are pleased to announce that we have been listed by the Guardian newspaper in their “Top 10 family farmstay holidays in the UK“.